Have you been searching for a pediatric dentistry? Coral Springs Dental Center is the best children dental Coral Springs has to offer. We know dentist offices have a reputation for being a scary place, especially for children. Here at Coral Springs Dental Center we turn a routine cleaning into a fun experience and establish dental hygiene habits at an early age. Our staff is particularly trained to treat your child’s primary, or baby teeth and are also educated in child psychology and behavior management. Call us at 954-344-8800 to schedule an appointment. 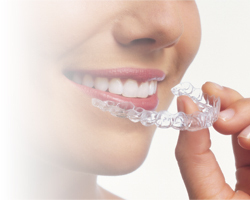 To find out more about us visit our website: Coral Springs Dental Center. Many parents wonder why their children should see a dentist at an early age. Children are suggested to see a dentist within six months of their first tooth and every six months afterward. When your children start seeing a dentist at a young age it will help them practice great dental hygiene. Our pediatric dentists will also be able to detect and help prevent dental problems, such as baby bottle tooth decay. Routine Check-Ups for Children – Our staff will make sure your children go through a quick and comfortable experience. So they no longer ever have to be afraid of the dentist. Tooth Sealants for Children – A sound preventive treatment for children that is highly effective and economical. Fillings for Children – Is your child experiencing unusual tooth pain? Well, even young children sometimes get cavities. 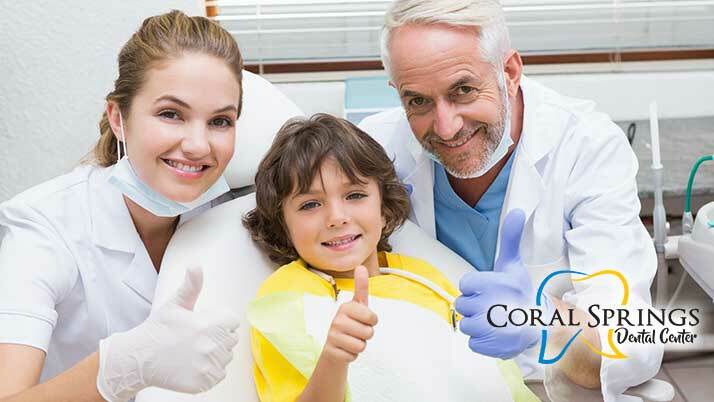 Here at Coral Springs Dental Center, we offer fillings for your children of all ages. Orthodontic Care for Children – You never know what Dental services are necessary to keep your child happy and healthy. This is why we offer a broad range of pediatric dental services to accommodate any situation. Despite our best efforts, we know some children will still be afraid of going to the dentist. Some children may still have an extreme dental phobia, even for just a routine checkup. This is why here at Coral Springs Dental Center we provide sedation dentistry. Sedation dentistry is a safe and monitored use of Nitrous Oxide to calm your child and make visits a lot less frightening. At Coral Spring Dental Center we have specialists who can handle both children and adult patients. Visit our website to learn more about all of our different Services and click here to read more about Coral Springs Family Dentistry. Call us at 954-344-8800 to schedule an appointment. We also provide an emergency service. Contact us if you have any dental emergency and we can go ahead and arrange you with the same day appointment.